Whether you are starting a new construction or updating an existing structure, new siding has an incredible impact. It is the largest exterior building product visible, which also means it is the greatest defender of your home in rough weather. There are so many types of siding that offer different colors and performance. Great options include vinyl, steel, fiber cement and various types of wood siding. 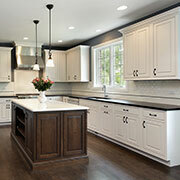 What is best for the home or construction project will depend on your climate, style and budget. Engineered wood siding offers the warmth, beauty, and workability of traditional wood with the durability of treated engineered wood. These products are engineered to eliminate flaws, resist deterioration, and be cost-effective to install and maintain. 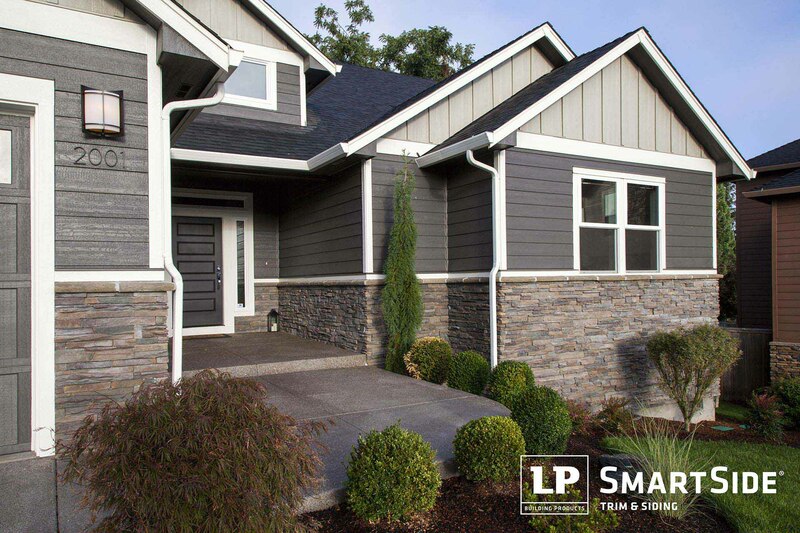 Engineered wood siding - like LP® SmartSide® - can be purchased in a variety of styles, including smooth finish and cedar-grain textures, to help you create exactly the look you want. These products are available pre-primed, ready to paint, or pre-finished in any number of finish options, which reduces the field and labor time once installed. Vinyl siding is the most popular cladding used in the United States due to its price, versatility and low maintenance. It is made from PVC and does not need to be painted or caulked. Vinyl is one of the lowest cost siding options that is readily available and requires few tools to install. There are hundreds of colors to choose from in a variety of styles and designs. Vinyl siding is very easy to maintain and only requires a wash using a garden hose on occasion. 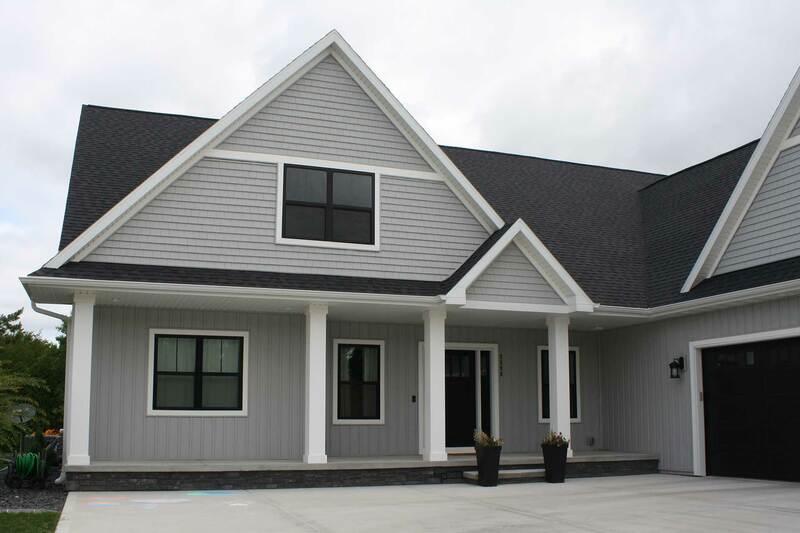 Amerhart carries the vinyl siding brand CertainTeed. CertainTeed vinyl siding come in various styles, textures and colors with strong warranty protection. Steel siding ranks the highest in strength and durability among other siding options. The metal construction provides a virtually maintenance free finish that is resistant to dents and scratches. It provides tighter seams and a more rigid composition that will stay true to form without buckling or warping. Steel siding is also green and safe for the environment because it doesn't produce silica dust like fiber cement siding products. Amerhart carries Rollex steel siding which is 100% recyclable and safe to install. It is available in numerous non-fade colors that provide lasting beauty. Rollex Steel Siding offers total confidence by providing a limited lifetime warranty. 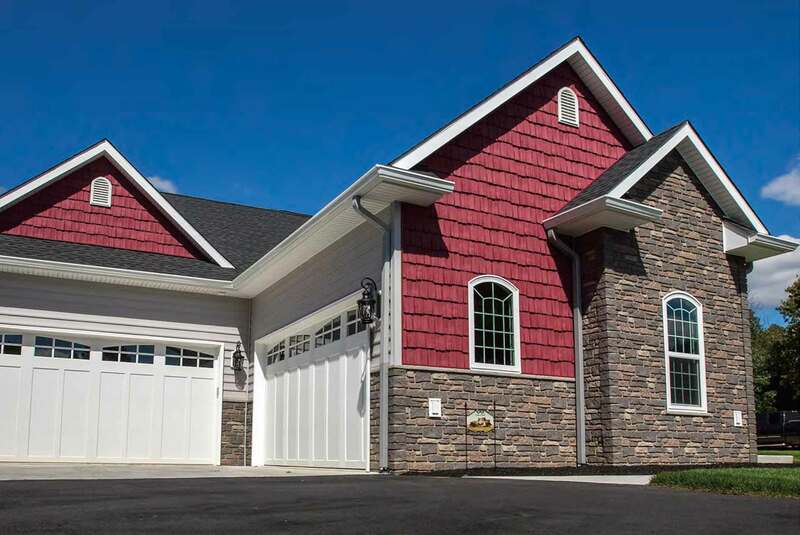 Fiber cement siding is a composite material made from cement, sand or fly ash and cellulose fiber. It is more durable than wood or vinyl siding due to its greater thickness and resistance to moisture, termites and heat. This siding option easily stands up to harsh weather and resists damage from wind, rain, freezing temperatures and hail. 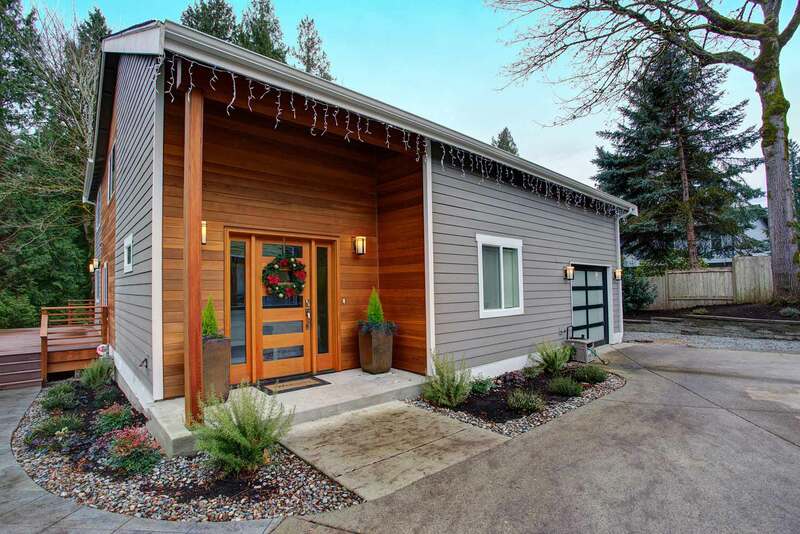 A fiber cement siding provides deeper texture lines that give the appearance of actual wood. It is typically heavier than other options and is priced more expensive than vinyl, but less than wooden siding. 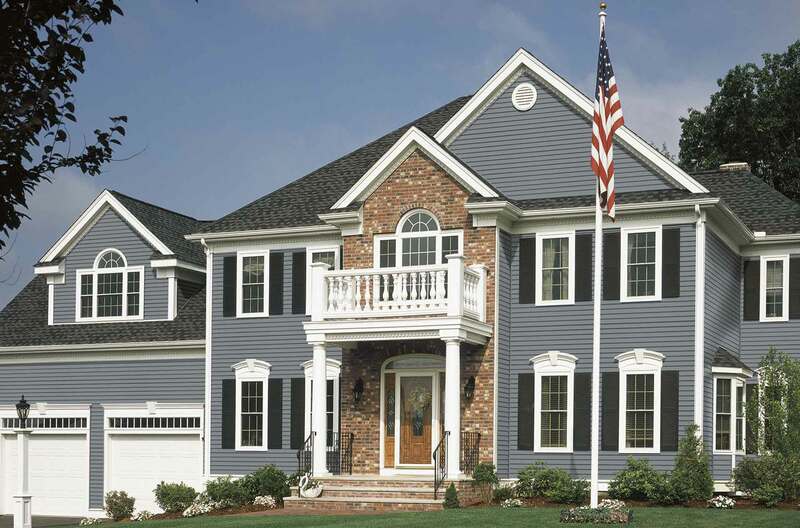 James Hardie is one of America's most popular and highly regarded brands of Fiber Cement Siding. 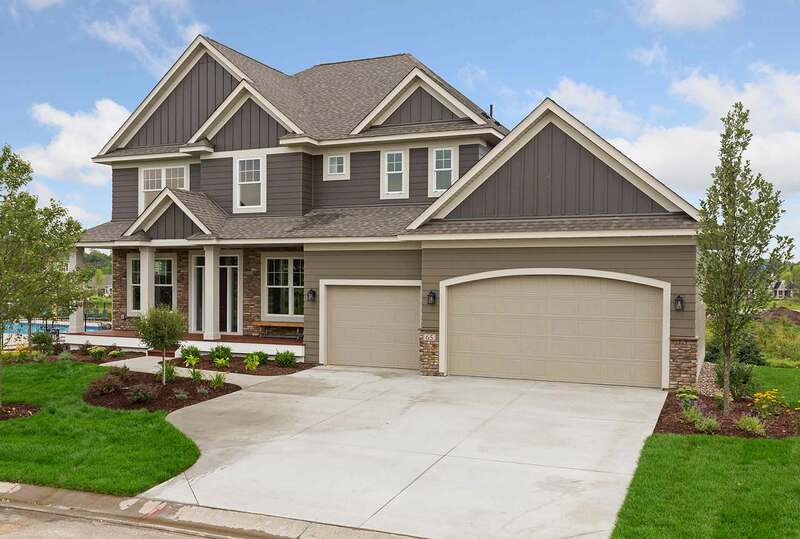 Amerhart offers a large selection James Hardie siding products that will provide superior durability and long-lasting color. Siding panels are great advantage to the individual or contractor installing them. They are a lightweight option that is easy to use and provides a quick installation. The siding panels eliminate the need to attach each piece individually, and instead provide larger sections that can cover more area in less time. 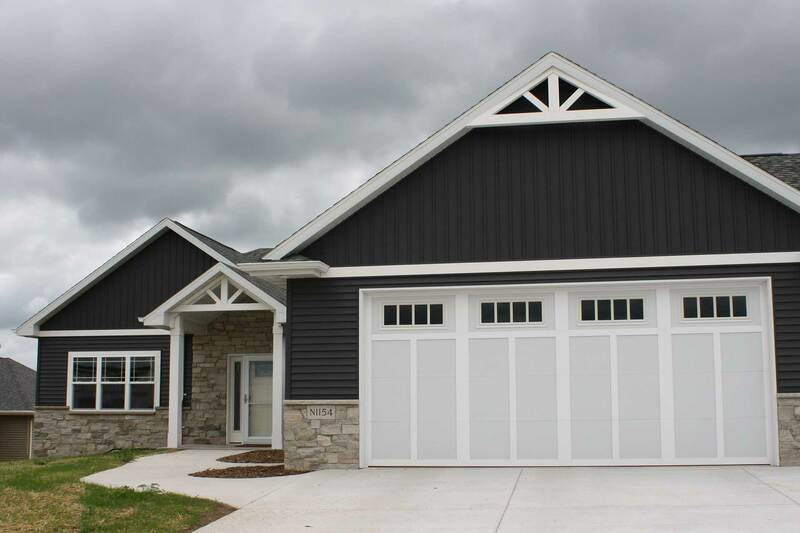 Amerhart carries many types of siding panels, from wood to Tando siding products. Tando is a manufacturer raising the bar when it comes to siding, they offer a variety of beautiful shake sidings made of polypropylene composite. The main reason an individual chooses cedar siding is due to style. Although cedar is softwood that is a great insulator, it is not as durable as other man-made materials and will weather throughout time. Staining cedar siding will help in maintaining its look, but it will need to be maintained by re-staining about twice a year. Amerhart offers cedar siding from Columbia Cedar. Their bevel and rustic siding options provide natural beauty, durability and a charm that looks great on any home. Using split logs as siding is done to give the building a traditional mountain or forest feel. 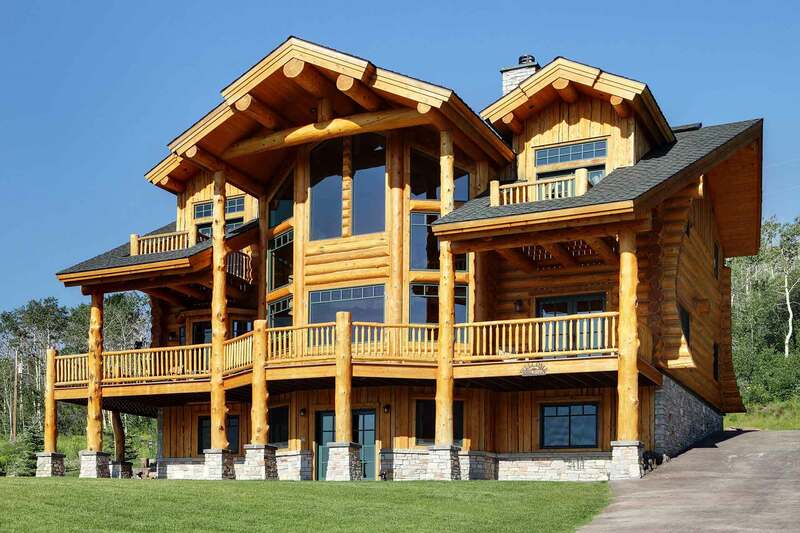 Log cabin siding is usually made from dried and treated cedar, cypress, redwood, or pine. 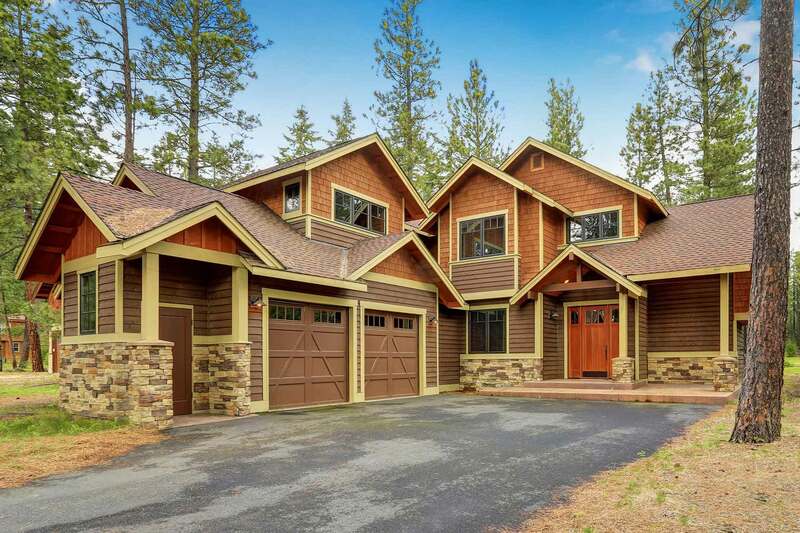 Log cabin siding will typically run on the more expensive side and require greater maintenance than its siding counterparts. These logs require painting, staining or a clear-coat regularly in order to maintain their natural beauty. Like with any wood siding, termites and other pesks may be attracted to them. Regular treatment against insect infestation will help deter this. It is best to seal any of the log cracks so moisture infiltration and decay do not occur. The installation of log siding is similar to other wood siding options and may require a professional or knowledgeable homeowner to complete. An alternate wood siding option is cedar shakes and shingles. Shakes and shingles have a similar rustic style appearance, but do have some different characteristics. Cedar Shakes are thicker, jagged in appearance, more durable and usually split on one or both sides. While cedar shingles are smooth, uniformly shaped and sawn on both sides. Wood shake or shingle siding is installed over a solid surface like plywood with a type of weather barrier in between. 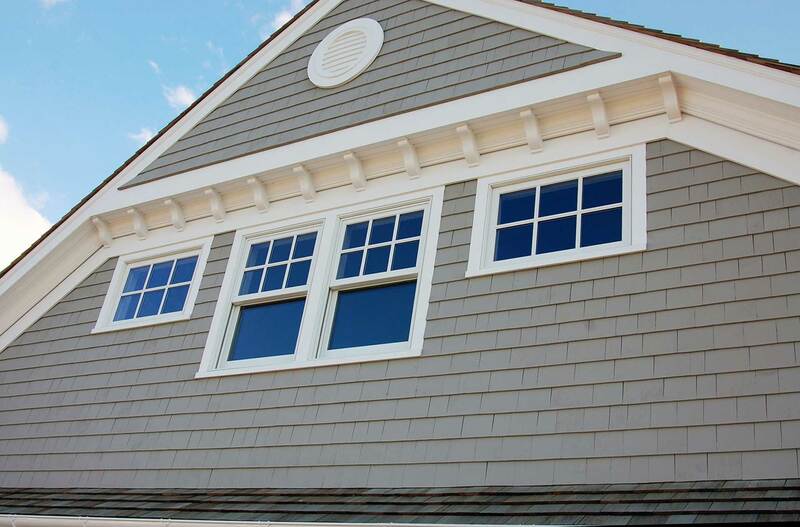 A cedar shake and shingle siding will require regular maintenance, including painting and caulking. There is also pine drop siding, often called Dutch lap siding. This is one of the oldest forms of exterior siding. It is made from re-sawing a pine board at an angle that creates two pieces that are thicker on one edge than on the other. Pin drop siding is installed horizontally with the upper piece overlapping the lower for a very traditional look. Choosing wooden siding allows you to paint or stain it however you wish, but also means you will have to keep up with that maintenance. The use of plywood siding is ideal for exterior applications like home construction, remodeling, and industrial projects. Plywood is a favored siding choice because it is a lower-cost option that comes in large sheets that install quickly. 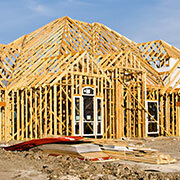 Home-grade exterior plywood for siding should not be confused with the exterior grade plywood used on sheds. Home Plywood siding offers a rough-sawn textured face with ship-lapped edges for a tight fit. It is used to create a beautiful rustic appearance and can be stained or painted to fit your style. Pine car siding is also known as tongue and groove siding. Pine tongue and groove siding consists of fitting wooden boards together either horizontally, vertically or diagonally to create a flat surface. These boards typically have beveled edges and a smooth face. It is a popular siding option because of its versatility. Pine car siding can be painted, stained, and installed both indoors and outdoors to create vastly different looks. Apart from siding, trim is the next exterior building product that will help provide your home with eye-catching curb appeal. The trim brings the look of your home together and adds elegance. Trim is often made from wood or composites and PVC. PVC trim is lighter weight, longer-lasting, requires less maintenance, and is easier to shape, mold or cut compared to traditional wood trim. 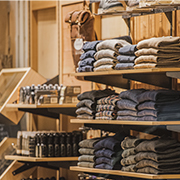 It provides greater performance and aesthetic advantages that wood trim cannot provide. Amerhart offers PVC trim from the trusted manufacturers Palram and Versatex. Their products come in a large array of styles and colors, so you can find the perfect trim to accent your homes style. If you are want to add a customized component to your home or project, then adding one or more pieces of fabrication is the way to go. From simple postwraps to the restoration of complex and ornate designs, the Amerhart fabrication team creates custom decorative exteriors for residential and commercial buildings. Amerhart Fabrication uses only quality PVC products to create innovative decorative exteriors. 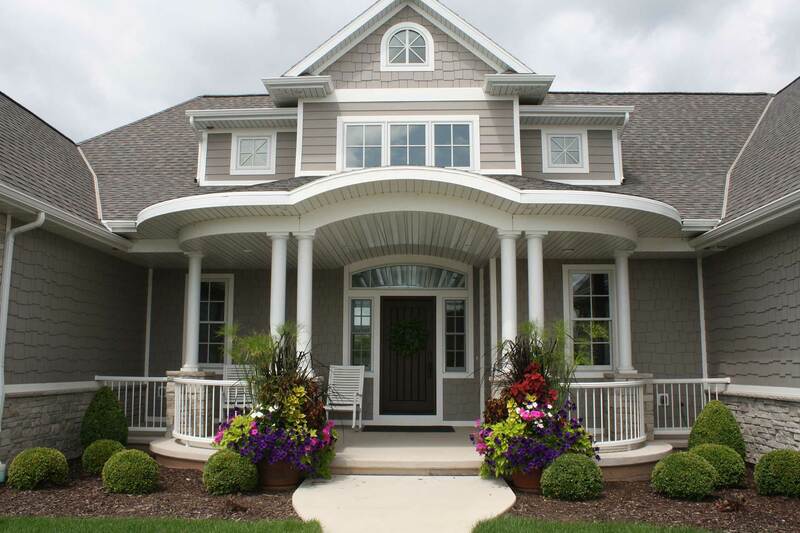 Enhance the elegance of any home or structure by adding decorative columns. Columns, also known as column wraps or postwraps, are a timeless feature and simple way increase the curb appeal of any residential or commercial building. A postwrap is a non-structural, decorative building exterior product that installs around an existing structural support, like a wooden beam. They are commonly seen on entryways and porches. Amerhart constructs their postwraps from high-quality PVC, so they are easy to maintain and built to last. Select from a variety of flat and tapered postwraps that can be personalized with multiple moulding profiles to match your style. A completely custom postwrap is also an option for those projects that are truly unique. An easy way to add character and sophistication to a structure is to install decorative gable brackets. Gable brackets are ornamental pieces of architecture for the outside of a home. They typically attach to the soffit and are placed where the roof comes to a point. Amerhart fabricates PVC gable brackets, which offer low maintenance construction with a variety of widths and pitches available. If necessary, Amerhart provides custom gable bracket styles and sizes to guarantee your home looks exactly how you want it to. Sometimes the general exterior and railing product offerings are just not going to be able to create the look you want. In this type of situation, the best solution is to get your exterior products customized. Whether you wish to restore decorative trim or install curved deck railing, Amerhart Fabrication can easily provide a custom exterior product solution. It is completely within range to re-create timeless mouldings on a building with many years of history. Also, a simple railing can be transformed to look more natural and luxurious by simply bending the composite to create curve appeal.